With a combination of microscopic laser scissors and modern sequencing methods, biologists at the Ruhr-Universität Bochum (RUB) in Germany have analyzed the activity of genes in the entire genomes of a certain fungi in one fell swoop. Especially with organisms in the millimetre size range, this is a particular challenge because little cell material is available. 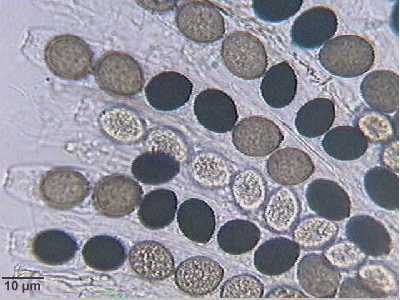 The scientists of the RUB Department of General and Molecular Botany took advantage of the combined methods to investigate the development of small, multicellular fungi. The results were reported on September 27, 2012 in the open-access journal BMC Genomics. In multicellular organisms, each cell contains the same genetic material, however, often only a fraction of the genes are active (expressed). These differences in gene expression are the cause of variations in the structure and physiology of cells. Gene expression is therefore the key to understanding the development of multicellular organisms. "In large organisms such as plants, it is usually not a problem to get enough starting material to study gene expression," explains Dr. Minou Nowrousian. "In the case of microorganisms, organs often consist of only a few cells, and might be embedded in other tissues from which they are difficult to separate." Therefore, biologists of the research groups of Professor Ulrich Kück and Dr. Nowrousian combined laser microdissection with modern sequencing technologies to analyze the gene activity during the development of certain, just 0.5 millimeters large, sexual structures of fungi. In laser microdissection, scientists cut defined regions of a sample under the light microscope with a laser beam.